About to take delivery of a new motorhome or want to plan a hitch free trip? 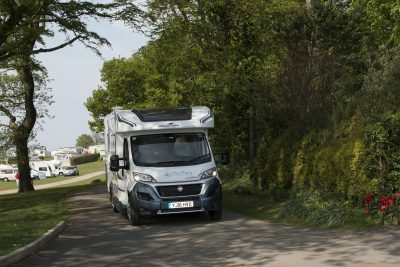 Armed with our motorhome pre-journey checklist and a fancy van hired from Peter Roberts Caravans in Huddersfield, West Yorkshire, here’s her top 20 tips to get you started in motorcaravanning without a hitch, and hopefully without having to make an insurance claim! The first and best piece of advice received was to relax and have fun. Whether you’re embarking on a family adventure, with your partner or going solo, it’s all about making the most of it and enjoying the freedom of being in the great outdoors and going where you want, when you want. Things will probably go wrong but this is the start of a new adventure and the shaping of lots of great memories for years to come. Know the height and width of your motorhome: To avoid any unnecessary bumps, knocks and scrapes when parking up, at the service station or accessing the campsite you’ll be grateful knowing quickly how tall and wide your van is. There are plenty of narrow lanes and low bridges out there to catch you out! It’s worth having a sticker in the cab so you can make a quick judgement call. Do your research: Make sure you buy a motorhome that suits your needs and book an easily accessible campsite with all the facilities you’ll need to make your first motorhome holiday go smoothly. 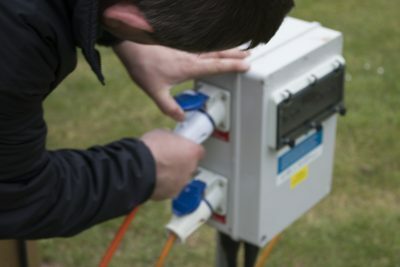 Look for a site which has an electric hook up, toilet and shower block and waste disposal area. Wait until you’re more familiar with your motorhome before you turn your hand to wild camping! And it might be best to stay fairly close to home, or the dealership, in case things go wrong. Watch the weight: Know your motorhome payload – the extra weight you can add to the van without exceeding the maximum vehicle weight allowed (or the MTPLM – Maximum Technically Permissable Laden Mass). Too much extra weight will affect the handling of your motorhome as well as the all-important fuel economy and if you’re involved in an accident with an overweight vehicle it could invalidate your insurance policy. Take the motorhome to a weighbridge if you want to know how much your van weighs with everything and everyone on board. 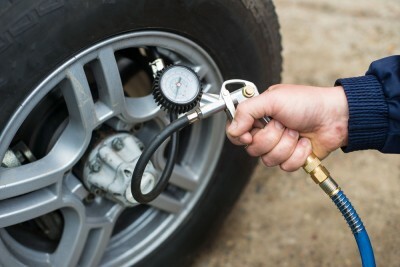 Check your tyre pressure: Tyre blow outs on motorhomes are a common cause of road accident insurance claims so it’s always high on our checklist of things to do before you set off on your travels. Having your motorhome manual to hand will make sure you know the right pressure, as well as other handy tips like how to turn on the heating and where you can empty your waste. Take it steady: It’s not a race to get to the campsite. Take your time to get used to the size and handling of your vehicle. And stick to the speed limits at home and abroad. Also double check your driving licence to make sure you’re licensed to drive. If you passed your driving test after January 1st, 1997 then you must take a C1 test to drive a motorhome heavier than 3500kg. 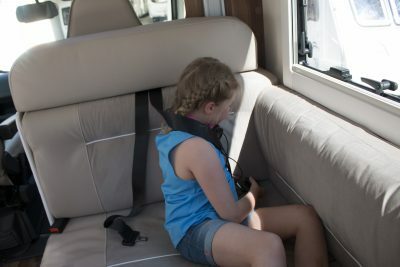 Motorhome seatbelts: Make sure everyone is wearing their seatbelts and that your motorhome has enough seatbelts for the passengers you’ll be carrying. Use your mirrors: Your motorhome will be wider than your car and you’ll probably be driving a vehicle that’s bigger than you’re used to. Make sure mirrors are properly adjusted so you can see the side of your motorhome as well as the centre of the road and the road’s edge. Take the bikes: Many of you already told us that a bike is essential when touring and we couldn’t agree more. If you have bikes be sure to take them with you so you can explore your surroundings. And to make life even easier you could even buy or hire an electric bike! 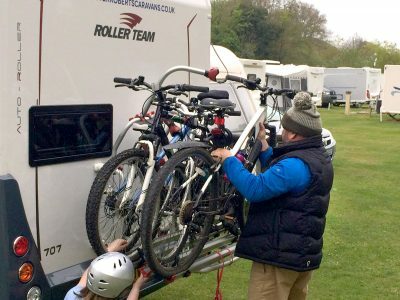 A bike also means you can leave the motorhome on site without having to pack things up or worry about height restrictions in car parks. 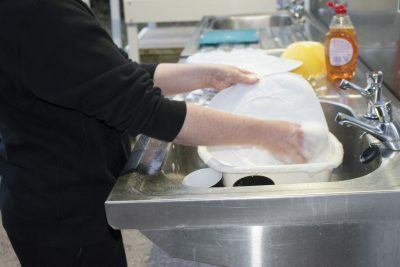 Use the campsite facilities for the loo, washing up and showering rather than putting the burden on the motorhome – and to save lots of trips emptying the waste and filling up the water – as well as cleaning the bathroom when it’s time to go home! Be prepared for the weather: If you’re motorcaravanning in England then you’ll probably need to pack for every season. 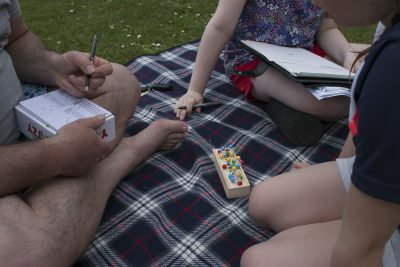 Take cards, games, books and crafts (we took knitting) rather than turning to the TV, so you spend some quality time together as a family or couple. And don’t forget waterproofs and wellies so you can still enjoy the Great British outdoors. Be organised: Space is at a premium so expect to be climbing over or squeezing past each other when inside. Organise your things (and the kids) so you know where everything is and try to keep it clean and tidy. Get the family involved and give the kids their own checklist and little jobs to do like, taking the rubbish out and windows and lockers are closed. Don’t forget your motorhome insurance: It also makes sense to include breakdown and a good level of cover to get you out of any sticky situations like being stuck in the mud. Don’t forget to cover your motorhome contents. 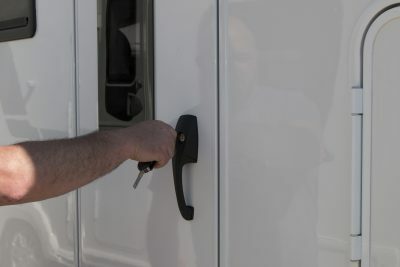 Stay security conscious: To avoid a theft insurance claim, make sure you keep your motorhome locked and all windows are closed when you’re away from the van, and keep valuables out of sight. 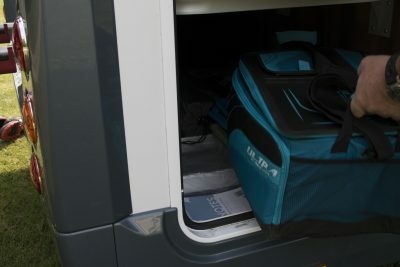 Also, be mindful of where your valuables are when on site with the van door wide open. Shut it! Make sure all doors, windows, cupboards, lockers and rooflights are closed and locked before setting off from home or the campsite to stop things flying around the van or out of it when you hit the road. 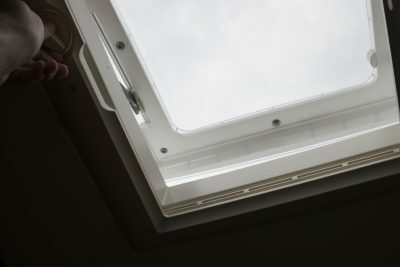 Plus preventing any accidental damage to windows and rooflights and costly repair bills. Have some loose change: Whether travelling at home or on the continent, there’s always the need for some loose change for a toll road or car park. Keep a stash in the glove box. Take some essentials: Make sure you’ve packed the essentials in terms of camping accessories. You don’t have to spend a fortune but things like toilet chemicals, gas, torch, matches, bike rack straps, toolkit, levelling ramps, camping chairs and table, bedding, grip mats, picnic blanket, fire extinguisher and barbecue were on our packing list. Not forgetting your camera to capture those motorhome moments! Invest in some extra safety devices: Not only will extra bits of kit like reversing cameras or parking sensors save you some money on your motorhome insurance premium – but they’ll also help to keep prevent those unwanted knocks and scrapes when manouevring. A tracking device will also give you that extra peace of mind so you’re not constantly worrying about someone stealing your pride and joy. 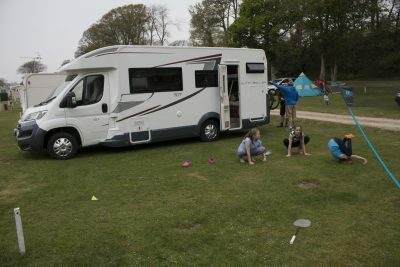 Check out forums: As well as specialist blogs like ours there are a multitude of motorhome forums and websites with a huge community of fellow motorcaravanners, who are more than happy to share their motorhome tricks and advice. And when you arrive on site a cry for help won’t go unanswered if you’re ever struggling with anything. 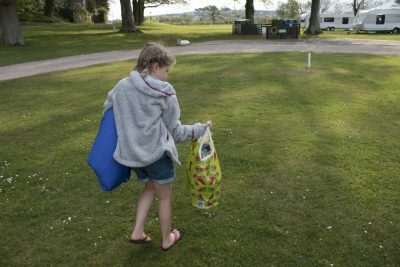 Fellow motorcaravanners will be willing to help their neighbours – especially if they are new. Tell your friends! Spread the word about how great motorcaravanning is and how much fun it is to be have the freedom to get out and explore when on a great British “staycation”! To find out more about our motorhome insurance cover and our range of discounts click here. And watch this space for an article about what our family thought about their first motorhome trip…! Got any tips for a first motorhome trip to share….or may be any unusual experiences? Please leave your comments in the box below. We also hired last year from Peter Roberts Motorhomes in Huddersfield. Wonderful experience. If you are using the on-site shower facilities as you you suggested, I would recommend you use the motorhome shower for extra space. We did and it proved to be helpful. Thanks for the tip Marcus. What a great read. Currently on our first trip in our motor home and can’t believe how many of these points have raised their heads..particularly about disconnecting the electrics..we’ve put a small note on the dash. .electrics, roof lights, gas, 12v fridge and don’t leave the step behind! Got caught today..no change for car park! Lots to learn, but lots of fun too..like you say…relax! In the beginning as a novice I would not place too much reliance on a reversing camera as the view is incomplete and distorted. For reversing there is nothing like a pair of eyes and good communication. 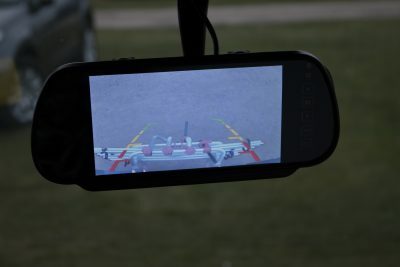 We find if the passenger goes to the rear of the vehicle and looks out of the window they can communicate with the driver clearly, without ambiguous hand signals or shouting. Apparently the military train the reversing assistant to stand in front of the vehicle -which does stress the importance of good communication. I think this should read 3500kg! For me the most important thing to note when driving is the overhang from the rear wheels backwards. It’s very long and if you attempt a sharpish turn either way it will swing wider than you would be used to in a car. So give yourself plenty of room at the rear side for a sharp turn or move forward more than you would normally before turning to avoid smacking the back end on something at the side. I learned that the hard way! Thanks Shane. That’s good advice and sorry to hear you learned the hard way. If purchased from a dealer, have the first night(s) midweek near the dealer so that it can be taken back if something does’t work. Stay on your drive for a night, just as if you were on site. Find out what you’ve forgotten before you set off. ~Check everything works, and decide if anything needs to be moved to another cupboard. Caravanners set up on site, then go of and return each day. Motorhomers stay overnight and move on every day or so, in our experience. Take a hose pipe with you, and all the tap adapters you can find, to fill the water tank : you might find a tap with no hose. Also a collapsible water carrier is a good idea for a temporary water supply when you don’t want to have to move the van to the tap right away. Great advice Julian – forgot to mention the hosepipe!